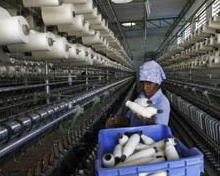 Ever since liberalisation began to unshackle the closed business environment that was mired in red-tape and bureaucratic hassles, industry started to flourish in Tamil Nadu across all verticals. With nearly 45,000 factories, TN has the highest number of such units in 2014 across industrial segment. The state is second most industrialised state after Maharashtra with a GSDP (gross state domestic product) of $141 million in 2013-14, a growth of 16.3% from the previous year. Along with Maharashtra and Gujarat, TN is one of the three states whose manufacturing strength can be compared to that of upper middle-income countries. The Vision 2023 document has targeted an annual growth of 14% for the manufacturing sector and a total investment of Rs 15 lakh crore by 2023 covering all economic sectors. In the last three years, TN has netted Rs 44,402 crore in FDIs (foreign direct investments) and has signed 33 MoUs worth Rs 31,706 crore, of which Rs 14,035 had already been invested in the state. This fourth largest state of India contributes 8.1% to India's GDP with a per capita GSDP of $2,059.30 which is roughly 48.2% higher than the national average of $1,389.60. Experts and trade chambers have warned that prospective investors and corporate may leave the state and rather set up operations in Andhra and Telangana which have announced tax holidays and incentives after they were reorganised by a Central Act. Moreover, the delays in land acquisition and regulatory procedures too have put a strain on foreign investors and Indian corporate who are otherwise willing to do business in Tamil Nadu given its wide talent pool and congenial environment. However, state-owned entities like TIDCO, SIPCOT, TIIC, and TANSIDCO have been on the right track to woo investors with offers of hand-holding and single-window clearance and other incentives for setting up industrial bases in Tamil Nadu. 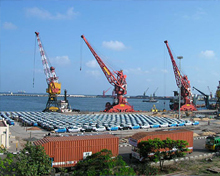 Tamil Nadu Industrial Guidance and Export Promotion Bureau takes care of attracting major investment proposals in the state, besides lending export-related assistance to entrepreneurs. Labour reforms are the need of the hour as the closure of Nokia and Foxconn units at Sriperumbudur SEZ near Chennai has proved. The shutting down of handset maker's plant has led to nearly 20-25,000 people (under active working age) losing jobs. 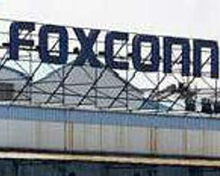 With the exit of Nokia, its ancillary unit Foxconn too followed suit creating a grim situation in the job market for youngsters in Chennai and the suburbs. MNCs and big corporates look for an industrial eco-system where they can not only sustain their productivity levels, but also continue with export obligations with profit margins widening each year. Burdened by heavy tax levies and loss of export markets, Nokia was forced to shut shop thus giving an unexpected shock to the labour force it had employed. Through a cascading effect, the shutdown of two giant companies has stalled the overall growth of Sriperumbudur in terms of housing and related infrastructure.